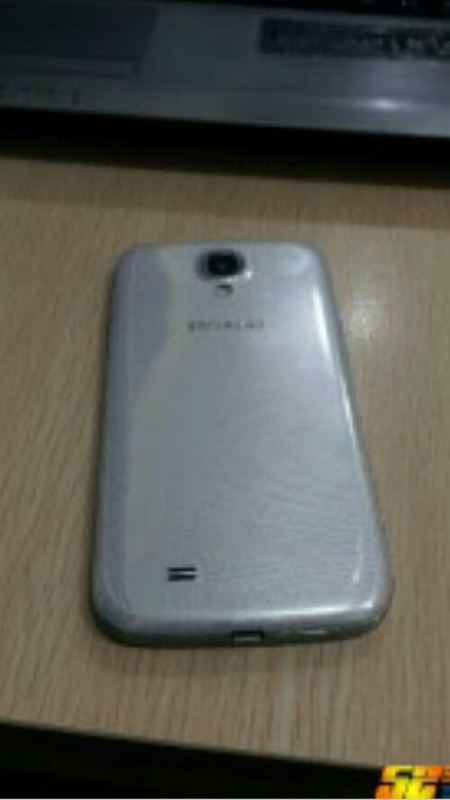 Huge leak of the Galaxy S4, or is it? 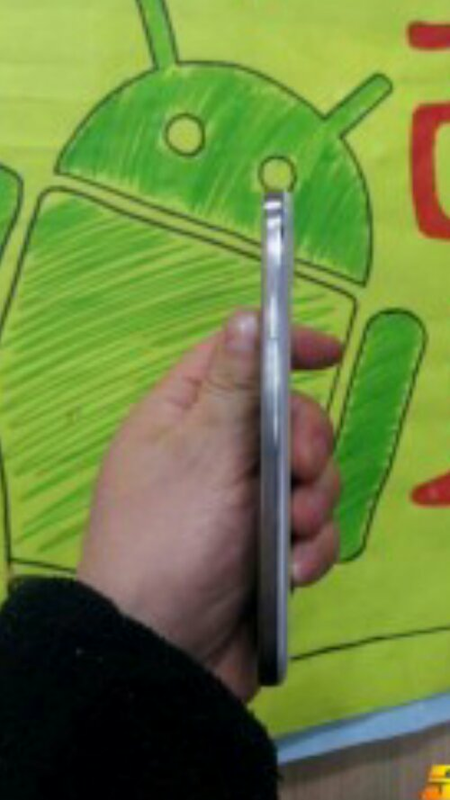 With only 3 days to go till Samsung unveils the “Next Big Thing”, the Galaxy S4 these photos have surfaced. 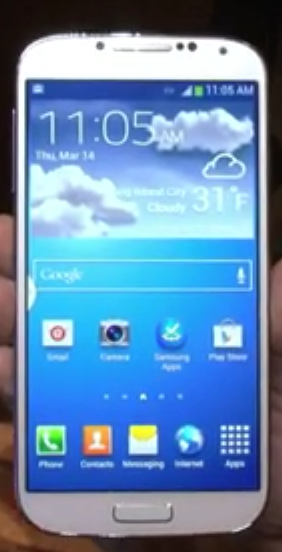 The poster claims that this is the Galaxy S4 in all its glory & personally I have mixed feelings. 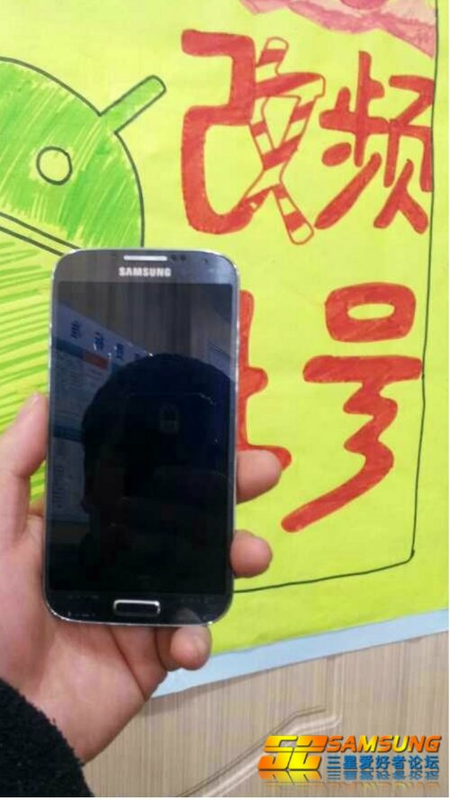 Some around the net are claiming this looks like the Galaxy Note 2 & that’s all that it is. Some are claiming it’s some knock off Samsung product, Both I’m not too sure about. See rumours had the Galaxy S4 being a combination of metal & plastic with the majority of the device being the plastic & a metal ring around the device. The photo below shows that they are showing off the ring around the device & if you have a Galaxy Note 2 like me you will know that that is definitely not the Galaxy Note 2. 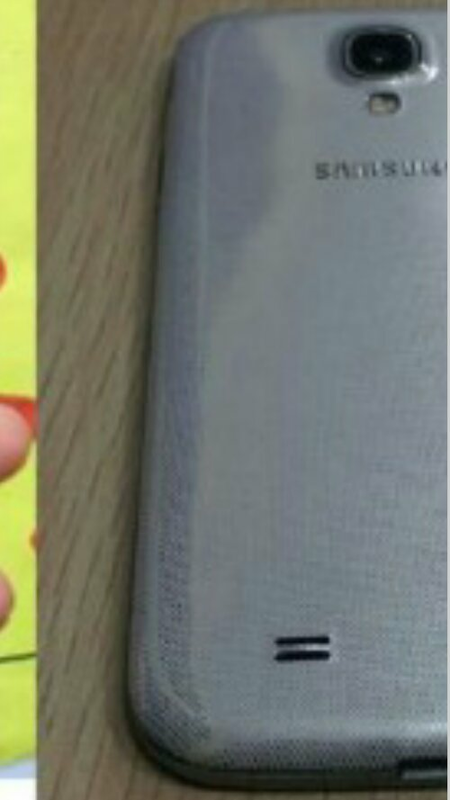 Then in this next photo which some are saying looks like cheap plastic you can see if you look really close at the bottom of the phone that it looks alot different than the Note 2. I don’t know about you but to me it looks like an alligator skin finish under Samsung’s hyper glaze finish. Now this could very well be a replacement back on a Galaxy Note 2 & perhaps a metal bumper style case wrapped around it, but it really has me thinking. Personally I love my Galaxy Note 2 but at the same time I hope Samsung hasn’t went with the exact same design this time around as the Galaxy S3 & Note 2. Well what do you guys think, what do we have here? Do you hope this is the Galaxy S4 or just a mis-identification situation? Let us know in the comments below. 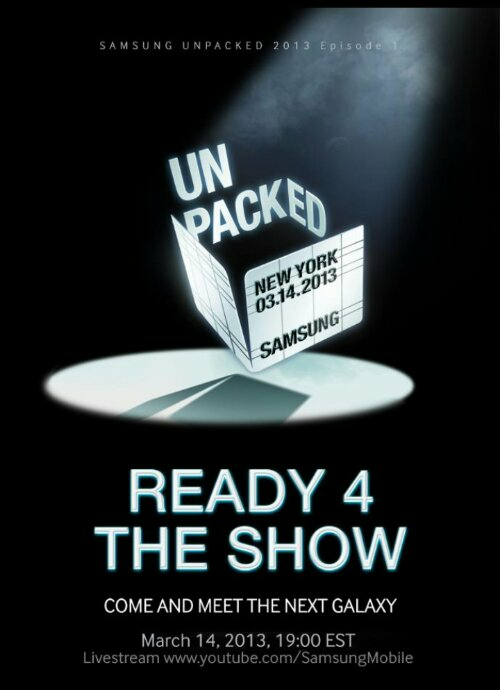 Samsung’s unpacked event, what could the Galaxy S4 be bringing to the world? Samsung is almost ready to reveal the “Next Big Thing” to their lineup & the rumours are flying about what the Galaxy S4 will bring. We’ve heard thing like Samsung will be dropping the Exynos Octa & going with a Qualcomm 600. Then we heard that that’s not the case & we will see the Galaxy S4 feature the new 8 core Octa with Big Little technology. Another rumour is that Samsung will be dropping the Amoled display that they are known for. It’s said now that it will have a Pholed display, either way we should expect to see a full HD 1080p display. 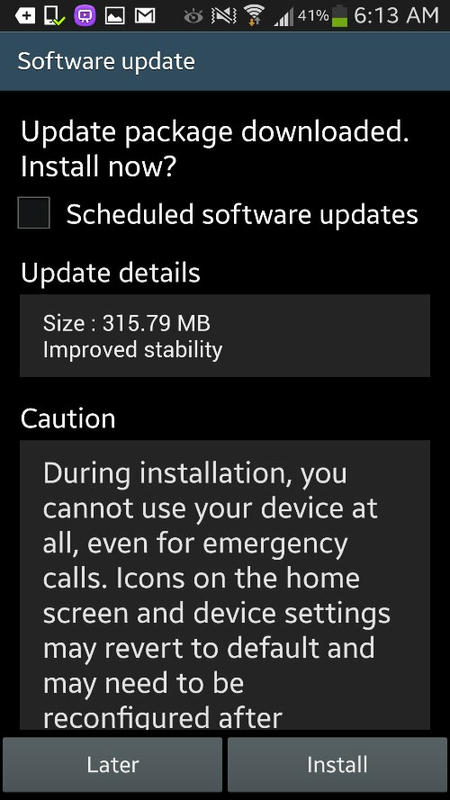 Feature wise it’s rumored that there will be an extention to the smart stay feature we all love, which keeps the display active while our eyes are on it & turn it off when we look away. Samsung is said to be extending this to include the ability to follow ones eyes to scroll the content on the screen while reading such things as the browser. Smart pause will pause the video we are watching when you look away. With these features added to all the voice activated features first brought with the Galaxy S3 & Galaxy Note 2 we are moving towards not even having to touch our smartphones lol. I’m very excited as we are just 5 days away from the release of the Galaxy s4 & I can’t wait to see just what Samsung has brought to the world this time. What are you thinking Samsung could have up their sleeves this time around, what would you like to see as part of the Galaxy S4? Let us know in the comments below & stay tuned as we bring you all the news of the Samsung unpacked event as it happens. 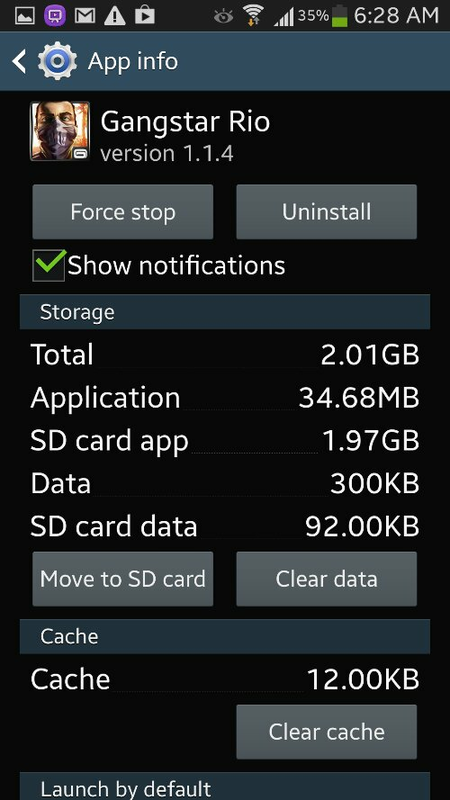 Samsung Galaxy S4 coming next month? 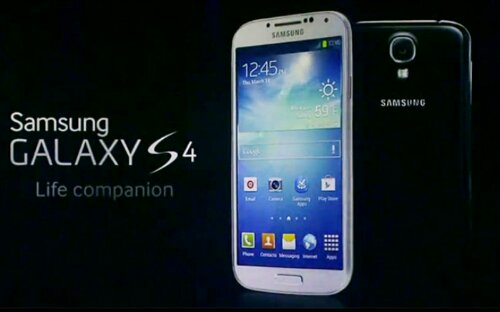 Rumour has it that Samsung will release the highly anticipated Galaxy S4 at an unpacked event on March 15th. Sammobile brought these rumours to the table & stated they were given the info from their “trusted insider”. It could be a good indication that there is validity behind this rumour, but at the same time take it with a grain of salt. The Samsung Galaxy S4 is rumored to feature an Exynos 5 Octa (8-Core) CPU, Mali-T658 (8-Core) GPU, 4.99″ Super AMOLED Full HD Resolution Display, 2GB of RAM, 13 Megapixel Rear facing Camera capable of shooting 1080p Full HD Videos at 30FPS, 2 Megapixel front facing camera capable of shooting 720p HD Videos and running Android 4.2.1 Jelly Bean out of the box. Well is there any of you waiting on the Next Big thing to be released from the Tech giant? Are you planing on upgrading from an S3, or is this your first venture towards a Samsung phone?